Don’t worry, you’re not the first parent to let your little one become the king of the household! It’s easy to get swept up in those big, bright eyes, those contagious giggles, those weird babbles that resemble an ancient language, and those sweet little fingers as they wrap around your own. Oh and don’t even get us started on how cute baby toes are! So, yeah, we get it; your kid is your pride and joy. So you want to make sure the first Halloween costume is one that captures your fierce love for your little one. So, let’s see...does your baby love sunbathing? How about sleeping for long stretches of time (by the way, if the answer is yes, consider yourself lucky)? Does your baby make a roar when upset? Is your baby very playful with brothers and sisters? Well, it sounds like you've got a little lion cub on your hands! But don't worry, they're pretty easy to tame. 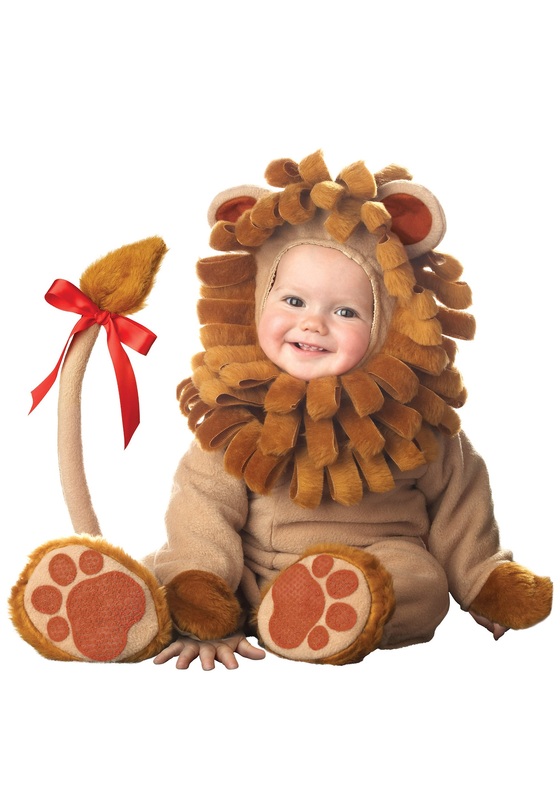 And they look great in our Baby Lion Cub Costume for infants and toddlers! OK, OK, so the only thing that will actually be tamed by this costume is your heart. We mean, look at this adorable outfit! It’s a cute and cozy jumpsuit with its own plush mane hood, floppy ears, and bendable tail. You know it’s a jungle out there, but your baby gets to remain blissfully unaware; we bet some of this good and powerful big cat energy will transfer to your tot with wear, though. So hold on tight and teach your baby how to rule with a healthy dose of cuteness! After all, it worked on you. I bought this costume in a size large for my 13 month old. It runs big which was great because we live in New York which is cool during Halloween. There was plenty of room for extra underclothes to keep warm but if in doors your child might get to hot especially with the head piece but in that case don't put any extra clothes under. Besides that the costume was great and adorable. My son was a big hit everywhere we went. The top hood is so cute on the kids. It was perfect for my toddler son and I was dressed as his ring leader! I just had another son and he'll be using this costume as well being that were going to dress up as characters from the wizard of oz. money well spent. Good quality!! I used to love Halloween more than life, and for the first time since Halloween 2007 I was going to partake in the festivities of Halloween this year, I had gotten the decorations out of the garage, starting pricing the best candy prices on the internet, and then I was going to shop for the perfect costume, also on the internet. When I googled "Costumes" this baby lion costume was the first picture that caught my eye, and 2007 flashed across my mind for a second so I shook my head to clear my mind and proceeded. Up until then I really thought I could pull off a huge Halloween redemption but I couldn't get the baby lion costume and the agony it inflicted on my life off my mind. Suddenly all costumes on the screen turned to baby lion costumes and started to mock me by pointing and laughing, some roared and some just stared. Staring was the worst. I decided that maybe it wasn't a good time to costume shop so I shut down the computer and went to the fridge for some pink lemonade to calm my nerves and that's when I heard the doorbell. I was hesitant to answer in my state of mind but I pulled it together and approached the door. When I opened the door I saw them. The two baby lion costumes that attacked me in 2007. I was stunned. I couldn't move. I whispered those faithful words from right before I was attacked "oh no theres lions at my door" and again, something about being called lions set those babies off. One roared and startled me while the other rushed me, just as before. The one that rushed me first was only a distraction, as I bent down to stop it, it's possible twin jumped in and bite me, on my "man parts" I shrieked and that made the baby lion costume clamp down even harder and start to shake as if it had the jugular of a zebra and was trying to take it down. Then I woke up at the computer. It was all just a dream, this time. I would not have to relive the pain and suffering that I endured in the days and weeks following Halloween 2007 and for that I was grateful but one thing was for sure, there would be no more Halloween celebrations in my home. Ever. 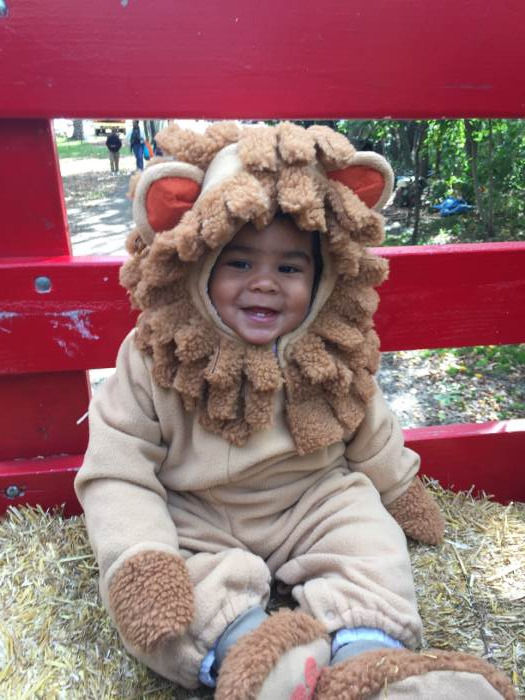 I know you're probably thinking that I'm a little irrational but I'm unsure if the babies understand that they aren't actually lions while wearing the costumes, and that scares me, really bad. What if I opened the door to a baby Cookie Monster costume and it ransacked my kitchen, or worse a baby Hannah Montana? No thank you. I'll be spending my Halloweens getting ready for Thanksgiving because that's when the bruising finally went away in 2007 and I'm forever thankful for that. Was this review helpful to you?YesNo3 people thought so and 5 didn't.